A plane bound for Sumburgh Airport had to return to Aberdeen yesterday morning after suffering multiple bird strikes within a minute of take-off. The Loganair Saab 340, which had 26 passengers and three crew on board, turned back for Aberdeen as a precaution after taking off at 6.30am. 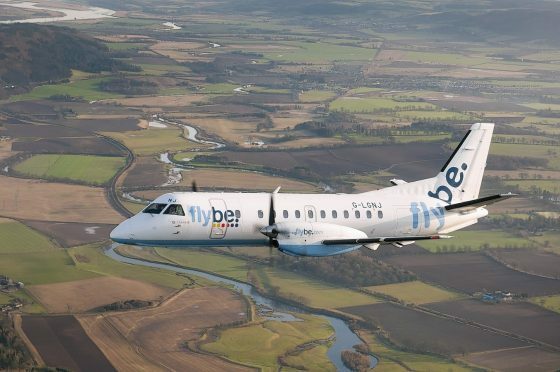 As the plane is used for the subsequent Sumburgh-Edinburgh-Sumburgh services, a long delay was caused to the southbound journey from Shetland to the Scottish capital due to leave at 8.15am. Loganair dispatched a replacement aircraft to Edinburgh to take over the Edinburgh-Sumburgh flight and its return journey. The early morning flight from Sumburgh to Edinburgh was due to arrive in the capital at 9.40am, but it landed at around 2.40pm.